Despite extensive media coverage, campaigns and scientists’ warnings, still the world is not fully aware of what coral bleaching is and why it is happening. Mention bleaching and some think that it is the death of the Great Barrier Reef’s coral, but the problem is much more widespread. “Bleaching” is when corals lose the highly productive algae (termed zooxanthellae) from their tissues due to stress from high sea temperatures and solar irradiation. The algae and coral have a symbiotic relationship: the algae remove the coral’s waste products while the coral gives the algae a safe environment to live in, and provides compounds for photosynthesis. Without the algae, the coral no longer has a sufficient source of food, meaning that it essentially starves to death. Due to its iconic status and numerous nearby scientific institutes, the Great Barrier Reef often receives the most attention when it comes to coral bleaching. But there are many other reefs across the globe that are experiencing the same problem. 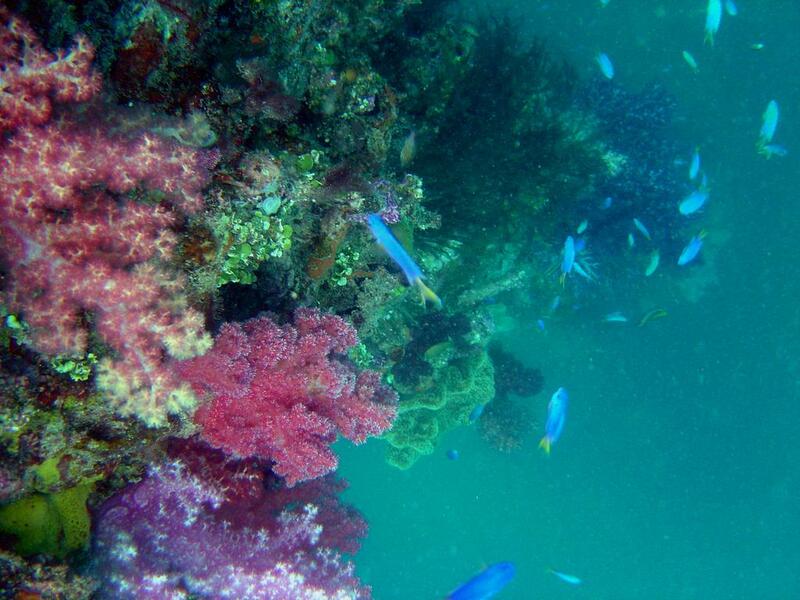 These reef provinces encompass undeveloped, remote and unpopulated areas, where, unlike near the Great Barrier Reef, monitoring and research is either non-existent, scarce or sporadic. The Chagos Archipelago is a British overseas territory located in the middle of the Indian Ocean, consisting of 55 islands distributed across six atolls, and covering an area the size of France. It certainly fulfils the remote criterion: the Maldives are the next island group, 300 miles to the north, and it is more than 900 miles to the more substantial landmass of the Indian subcontinent. In total, the reefs and shallow banks cover some 60,000km² – nearly three times the size of Wales. For the past decade, we have been carrying out research in the Chagos Archipelago. What we have found is that although reefs vary in condition across the large archipelago, most were vibrant during earlier surveys and managed to rebound from the first major bleaching event in 1997/98 – when around 16% of the world’s coral was killed, and only about 10% of living coral was left to some 30m depth. After the 2015 global bleaching event occurred, we knew that the Chagos Archipelago had been affected, but it was only during our 2016 survey that we found the bleaching had been as bad as it was in 1997/98. A degraded reef in Chagos, pictured in April 2016. We were struck by the stark increase in dead coral, mostly the branching Acropora which form wide table-like structures, similar to a canopy, over large portions of the reef. We found that on reefs dominated by this coral type, more than 50% of the live coral which was present in 2015 has died in shallow areas. What is most alarming is that these surveys took place immediately before the 2016 bleaching event began in earnest, and went on to surpass 2015 in severity. The true condition of the reefs within the Chagos Archipelago at present is unknown, as we haven’t yet been able to revisit the study sites. We also don’t know when, or if, a 2017 bleaching event will occur on the Chagos Archipelago. But based on global sea temperature patterns so far, and early indications of bleaching starting on the Great Barrier Reef – which usually precedes events in the Indian Ocean – a 2017 event could begin in a matter of weeks. This could very well be the start of a new era for the coral reefs of the Indian Ocean and beyond. Of course, bleaching itself is not a new phenomenon, having been first recorded in 1911 in the Florida Keys, and is likely to have occurred, certainly at local scales, throughout the last several millennia of global reef growth. What is completely new, however, is this frequency of bleaching events: if a 2017 event materialises it will be part of an unprecedented “hat-trick” of yearly back-to-back mass coral bleachings. Corals may recover from mild and infrequent bleaching events, but will die from severe and repeated loss of their algal symbionts. Scientists warned in 1999 that if global warming patterns continued, reefs in the Indian Ocean could start to bleach every five to 10 years by 2010. Unfortunately, it appears these predictions have been met and may even be surpassed in the next decade. There is no easy way to stop coral bleaching. A frequent suggestion is to focus on removing localised impacts and stressors such as over-fishing and excess nutrient inputs from agriculture. However, the Chagos islands are already devoid of these pressures, and yet appear to be equally susceptible to the effects of global warming as more populated reef areas. 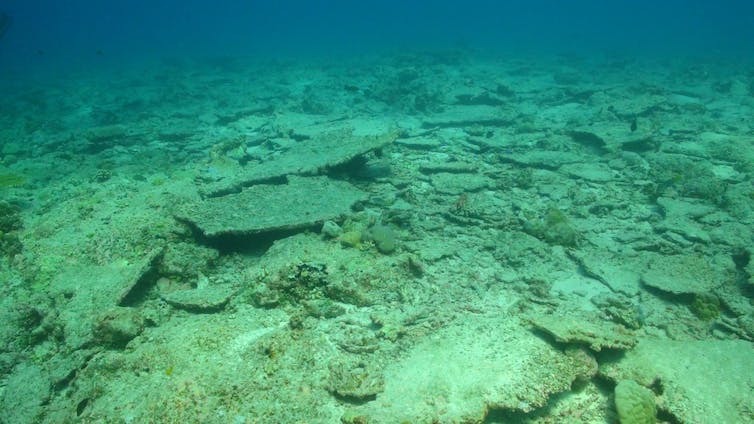 Though we don’t know if these reefs can bounce back from bleaching, based on the previous pattern following the 1998 global bleaching event – where up to 90% of corals died in some parts of the Chagos Archipelago – the reefs could take a decade or more to recover. But if these yearly repeat bleachings carry on, it could be like pressing the reset button on each trajectory of recovery just as it gets underway. Nonetheless, it could be argued that if anywhere has a chance of recovery the Chagos Archipelago does, and by continuing to research this location we may learn more about what factors promote and drive reef recovery in the process. Coral reefs and people in a high-CO2 world: Where can science make a difference to people?